If you are an iPhone user, then we are sure that once in your life you did face difficulties while backing up your iPhone data. As you are already aware of the fact that Apple’s iTunes and the iCloud backup has certain limitations. Hence, as a result, you can’t use it to its fullest potential. If you want to do so, then you need to pay some bucks. However just to help you out, in this case, we will be talking about the best iTunes alternative. DearMob iPhone Manager is one of such iTunes Alternative which is available on the internet. This tool can help you to backup and restore your iPhone or iPad offline. You can also selectively transfer and manage any iOS file. However, to give you a better idea about this best iTunes alternative to manage iPhone. Let us give you a quick introduction to the DearMob iPhone Manager. 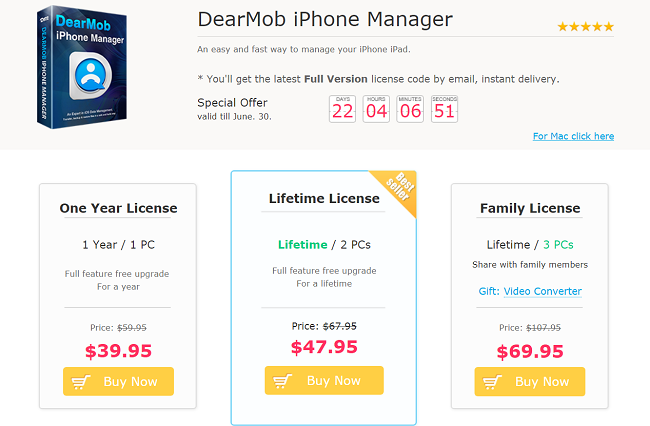 The DearMob iPhone Manager is a tool which is created for the Apple devices. The application basically offers category-wide iOS data support. 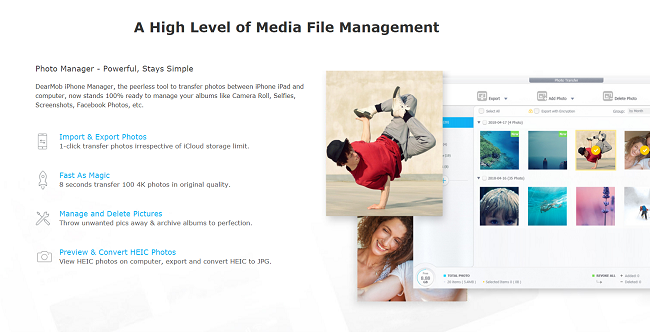 In other words, using the DearMob iPhone Manager, you will be able to take backup of iPhone photos in JPG, HEIC, and music in MP3 AAC format. Also, it offers with 2-way transfer videos in MP4 MKV H.264. 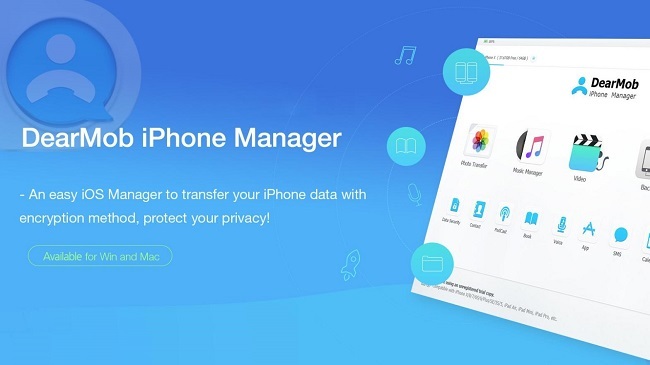 In addition to that, it can manage other iOS data files as well which includes SMS, Podcasts, voice memos, eBooks, bookmarks, calendars, contacts and so on. Overall the DearMob iPhone Manager offers a complete backup solution for your iPhone and iPad. The best part of the application is that it saves the backup file on your computer itself. There is no internet connection required, nor there is any kind of restrictions like the Apple iTunes. Also using the DearMob iPhone Manager application is super easy. It allows you to take a backup of a specific iOS file or you can backup files in a batch. Also backing up process is extremely easy, a single click on the DearMob iPhone Manager app and you are done. In addition to that, the application can be installed on your Windows and Mac computer. However, the application is not a free one. It comes with yearly, lifetime and family license. Well, that was a small introduction to the DearMob iPhone Manager. Now let's just talk about some of the top features that this best iTunes alternative is offering. You can select specific files while taking a backup. It can export the HEIC photo as JPG. You can use it to delete photos or albums. DearMob iPhone Manager helps you to export or import music files without iTunes. You can add, delete songs and playlist. Also, it can help you to convert the Apple-unfriendly audio format to MP3. You can transfer the 4K videos from iPhone to your computer to free up space. The DearMob iPhone Manager can also help you to convert MKV, AVI, FLV and other files to MP4. You can also use the application take a backup of your iPhone, iPad or iPod data and restore it to any iOS device. This feature comes handy when you are moving your data from an old iPhone to a new iPhone. It can save contacts as VCF/PDF/TXT/HTML. DearMob iPhone Manager is capable of taking a backup of SMS. It also lets you manage your podcast, iTunes, Voice Memos. Also, it lets you create your own ringtone with iPhone music. It can also help you to convert ePub books to PDF/TXT/ HTML for Kindle. DearMob iPhone Manager also lets you install apps from third-party sources without jailbreak. Encrypt exported files individually with highest-level of protection. 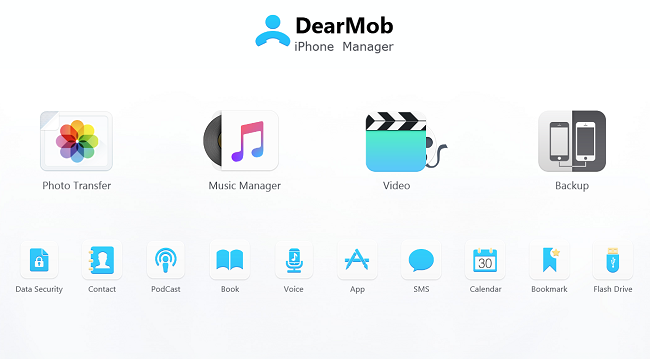 How to use DearMob iPhone Manager? First of all, go and download the DearMob iPhone Manager. After that, you have to follow all the screen instructions to install the application on your computer. Once the application is installed, connect your iPhone to your computer via a USB cable. Now launch the DearMob iPhone Manager. Then you will find different options on the dashboard. These options include Backup, Photo Transfer, Music manage and so on. Simply select the task that you want to do and then follow all the screen instructions and you are good to go. Well, that was all for the DearMob iPhone Manager. However, before you leave the page, do remember that the free trial has limitations in the amount of files to transfer each day, you have to Buy full version of the application to use at will. Anyway, if you have any more questions regarding the best iTunes alternative. Then do feel free to leave a comment down below and we will surely help you out.